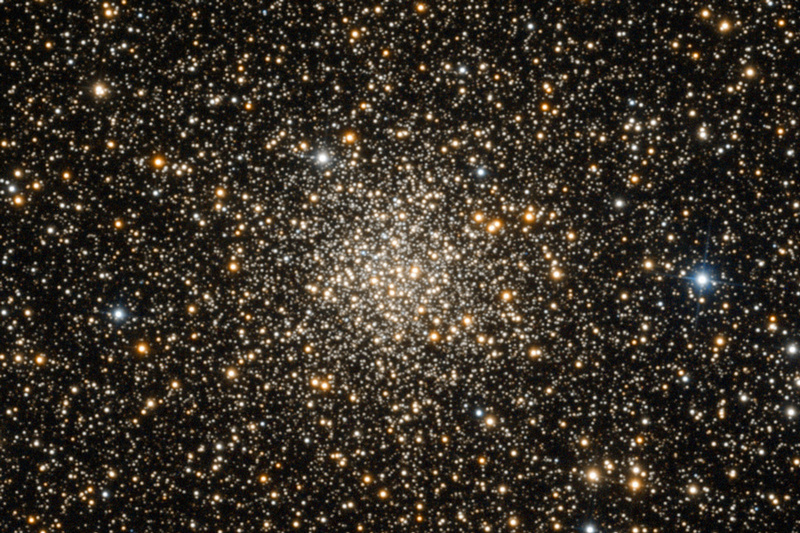 Explanation: Now known to be a globular star cluster at the tender age of 10 billion years, M71 is a mere 13,000 light-years away within the narrow boundaries of the faint constellation Sagitta. Close to the plane of the Milky Way galaxy in planet Earth's sky, its 10,000 or so member stars are gathered into a region about 27 light-years across near the centre of this colour composite view. In fact, the line-of-sight to M71 passes along the galactic plane through much intervening diffuse interstellar dust. The dust dims starlight and scatters blue light more efficiently, masking the brightness of M71's stars and shifting true star colours toward the red. How much are the star colours shifted? Slide your cursor over the image (or follow this link) to use an estimate of the dust reddening or galactic extinction to correct the star colours in M71. 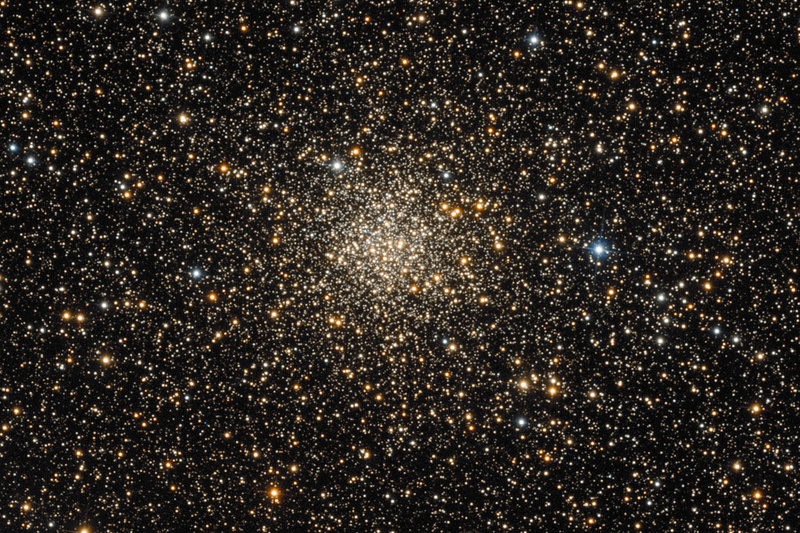 Corrections to the brightness and colours of M71 member stars are needed to measure the cluster's distance and age using a Colour-Magnitude diagram.